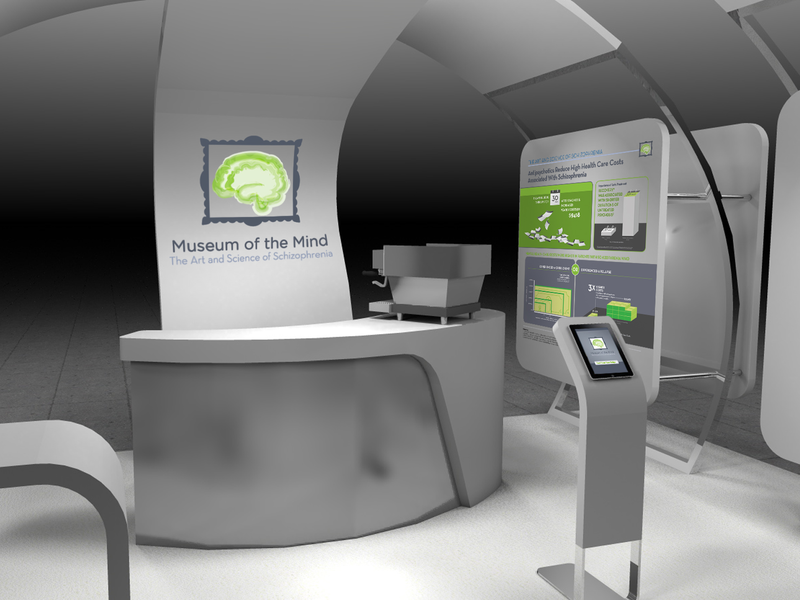 Museum-themed convention booth designed to raise awareness about schizophrenia. 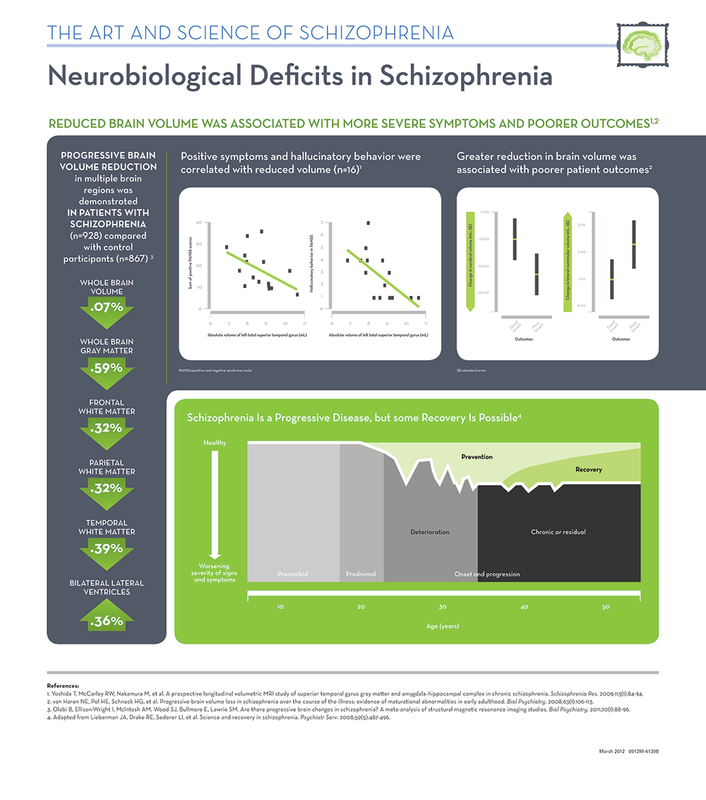 Exterior booth panels contained artwork painted by artists with schizophrenia. 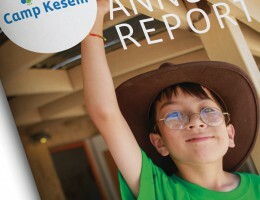 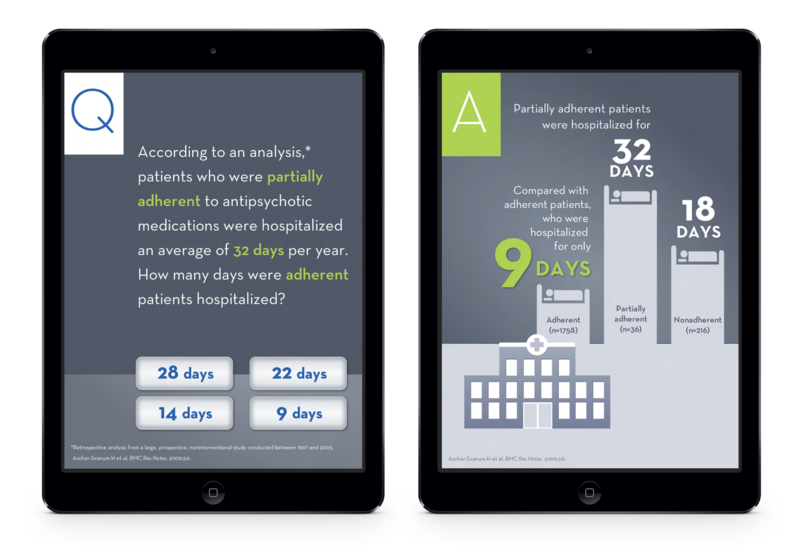 Interior panels contained infographics explaining some of the personal and societal impacts of the disease. 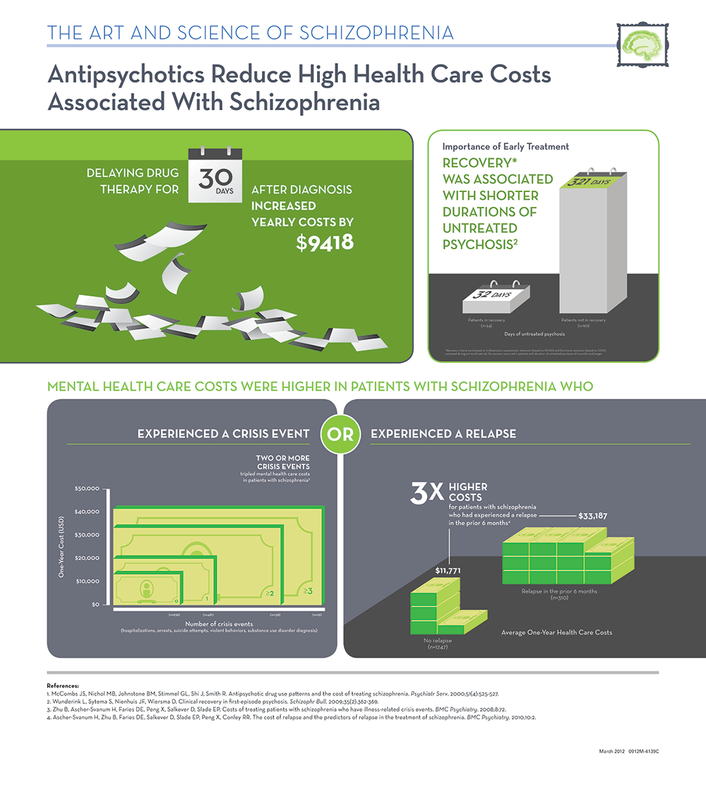 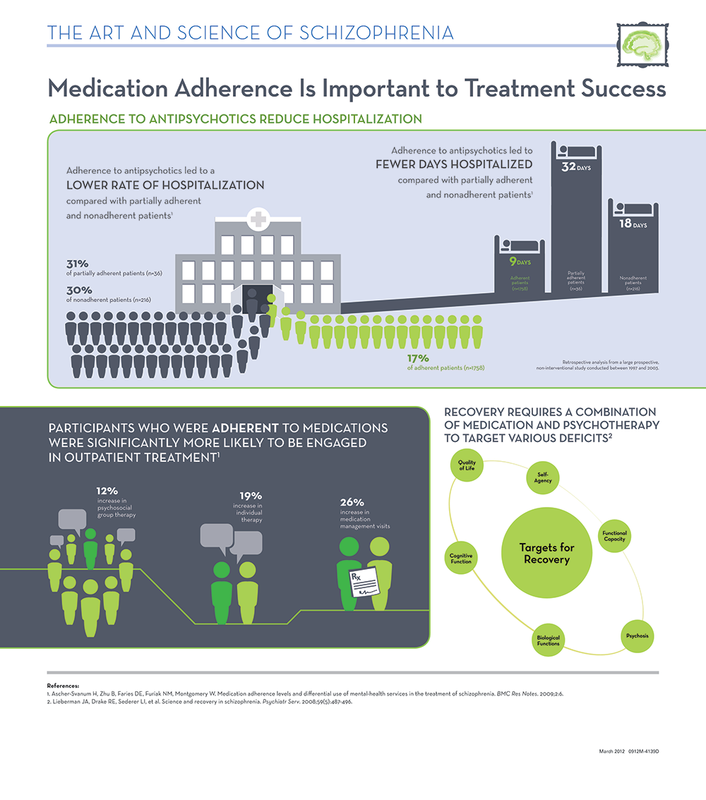 Infographic panels illustrated the severity of the adherence problem for patients with schizophrenia, the direct relationship between increased patient care costs and failure to adhere to medications, and the neurobiology of the schizophrenic brain. 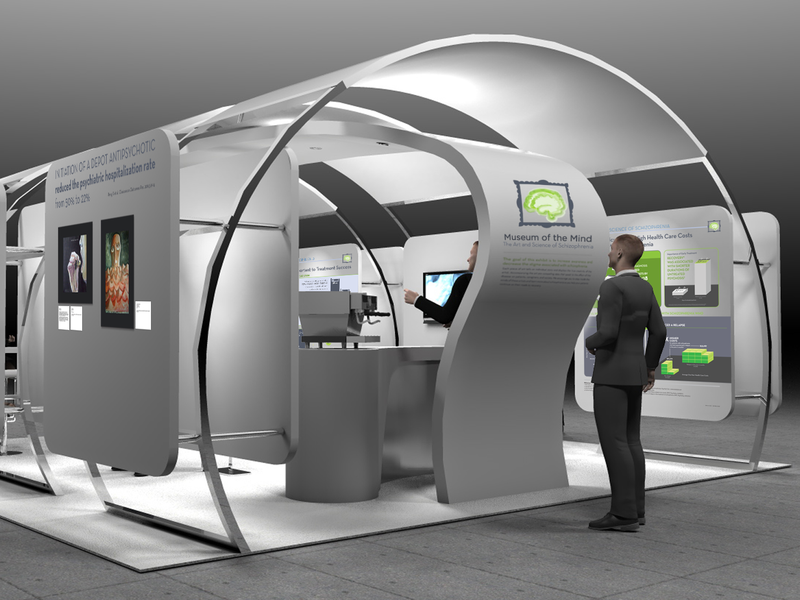 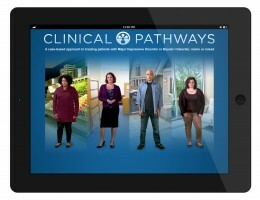 The booth also housed an interactive iPad application designed as a way to engage participants and test their knowledge after reviewing the data.